The court had dismissed Musharraf's petition saying it has the mandate to try him. The special court had dismissed 70-year-old Musharraf’s appeal to conduct the treason trial of the former president in a military court on February 21. Embattled former Pakistani military dictator Pervez Musharraf will soon challenge in the Supreme Court the rejection of his appeal for conducting his high-profile treason trial in a military court. “We have decided to challenge the order of the Special Court. It is still under process,” key lawyer in Musharraf’s legal team Mohammad Ali Saif said. He clarified that no petition has been filed as being reported by a section of the local media. The special court had dismissed 70-year-old Musharraf’s appeal to conduct the treason trial of the former president in a military court on February 21. The court had dismissed Musharraf’s petition saying it has the mandate to try him. Initially, Musharraf had filed three applications that challenged the appointment of the head of the prosecution team, the establishment and the jurisdiction of the special court. 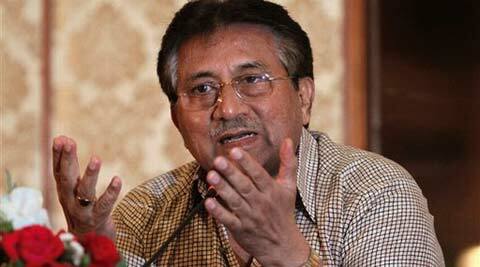 Musharraf is scheduled to appear before the Special Court on March 11. He is likely to be indicted on that day. He faces treason charges for suspending, subverting and abrogating the Constitution, imposing an emergency and detaining judges of the superior courts. If convicted, he could face life imprisonment or the death penalty. This is the first time in Pakistan’s history that a former military chief is facing trial for treason.